After my post yesterday morning (which I wrote Friday evening) I was rather apprehensive about embarking on a 10 Tors expedition on Saturday. 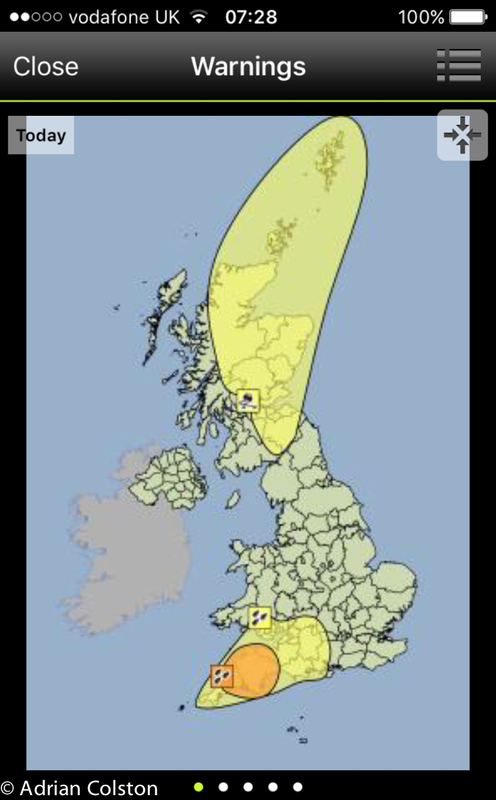 The weather had worsened over night and on Saturday morning we had an Amber warming of rain over Dartmoor and Devon. As Team Managers and Leaders (Torquay Boys Grammar School and National Trust Wild Tribe) we had spent quite a lot of Friday evening discussing the situation and looking at options. We were clear that the Saturday walk route needed to be radically altered and shortened but there was real merit in testing the young people in trying conditions. Alternative routes were devised which would be safe but would be challenging – a key 10 Tor principle. Upon arriving at Meldon Car park this was the scene over the cattle grid. And this was the runoff – it was raining cats and dogs…. 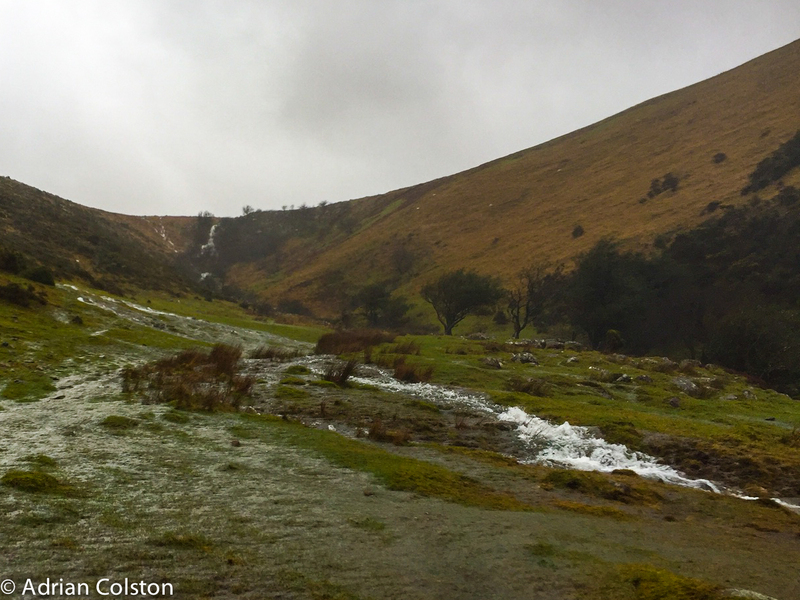 Various teams set off on their revised similar routes – here is the scene looking up at Homerton Hill on the south bank of Meldon reservoir – there isn’t normally a waterfall there! These photos show the scale of the rain – but give not idea who windy it was – at this point we were heading into the wind which was unpleasant as the rain was stinging on our faces – walking with the wind was pretty challenging as it nearly blew us over and on a few occasions actually did! A pow wow at Vellake Corner where we decided to change the routes again – super-saturated peat! 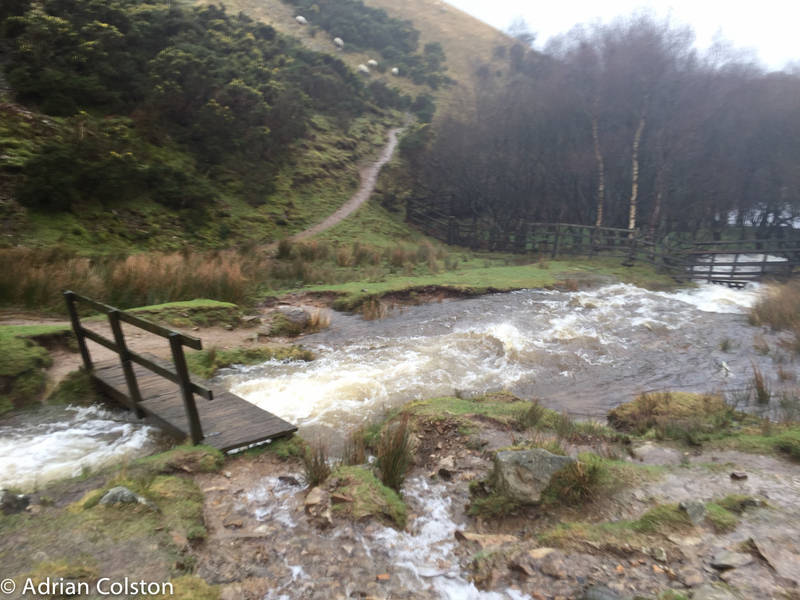 Here is the West Okement thundering down the Valley – note you can’t get to the beginning of the bridge! We finished our day out at 2pm at the Dartmoor Inn near Lydford. This is what 10 Tors is all about – it teaches young people resilience, endurance, leadership, tenacity, a love of Dartmoor(!!) and a sense of achievement. In case you think we have been cavalier yesterday- let me give you the stats – we had approaching 50 young people walking today – along with 11 adult supervisors and 4 young people who have already completed 55 mile 10 Tors. Of the 11 adults 4 are qualified Moorland Leaders, one was a former senior officer in the Royal Marines, another is a serving Police Officer and one is a member of the Dartmoor Rescue Service. We don’t do this lightly. Being there when Dartmoor is extreme is a privilege and something I wouldn’t want to miss – a day to remember. This entry was posted in 10 Tors, Dartmoor weather and tagged 10 Tors, Amber weather warning, Meldon Reservoir, National Trust, National Trust Wild Tribe, Torquay Boys Grammar School, Vellake Corner. Bookmark the permalink. 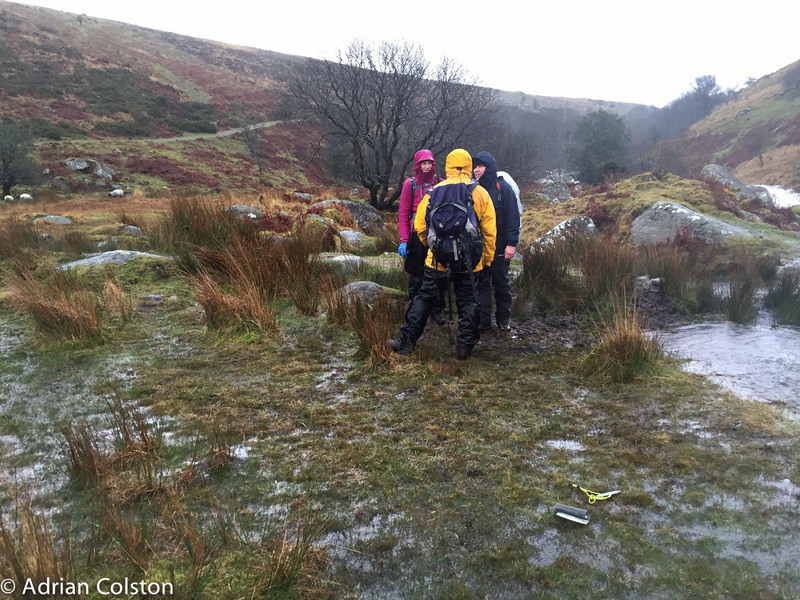 Our youngest walked from Meldon with Okehampton College yesterday too – he had a great day & clearly wasn’t exaggerating the conditions they faced ! Superb account, thanks Adrian. Spent a lot of time working with STOCS there years ago, I should all our carefully placed drainage stones have been washed away now! Awe inspiring conditions and video! Thanks for bringing your day on Dartmoor to us – without our having to get wet!